GATE Counselling 2019 will commence apparently in the month of April 2019. 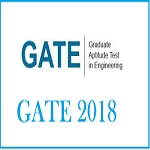 GATE is a national level entrance exam for admission to Post Graduate courses in the stream of engineering and technology. IITs will not engage in the activity of organizing a common GATE Counselling for granting admission to various PG courses. All the NITs will organize the Centralized Counselling for PG engineering programmes such as M. Arch. / M.Tech. /M. Plan. 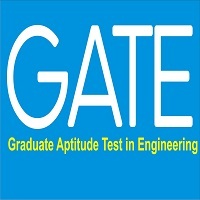 Candidates have to register separately to various IITs, after the declaration of official GATE 2019 admission. For more details about GATE Counselling 2019, read the article below. The GATE CCMT Counselling is conducted by NITs and other centrally funded institutions; it is an online admission procedure. For providing admission to PG courses, no common counselling will be conducted by IITS. Counselling will be schedule after the result declaration. NIT organizes the Centralized Counselling for M. Tech. / M. Arch. / M. Plan. Admissions (CCMT). Counselling is purely based on GATE 2019 scores. It is the common counselling conducted by NITs every year. Online Registration, Choice Filling, and Choice Locking. Allotment of Seat, Seat Acceptance fee payment and Reporting. Register in the CCMT official website (only qualified candidates). Remit the applicable registration fees. Applicants will be permitted to fill their choices of preferred programmes, on the successful payment of registration fee. After filling with the preference the choice filling, candidates were advised to lock their filled choices at the time of the counselling process. This step involves allotment of seats. On the basis of choices filled by students and merit list, allotment of seats will be done. Once the candidate will be allotted the seat, they have to pay the seat acceptance fees. Then candidates have to report to the allotted venue in person on the prescribed date and time specified by the authority. After seat allotment, candidates were required to complete the provisional seat confirmation process. It’ll be completed by remitting the payment of seat confirmation fee. Candidates were able to download the provisional seat confirmation letter from the official site, after the payment of seat confirmation fee. Candidates should report to the allotted college, after gaining the confirmation letter from the official site. Candidate should have all the necessary documents & certificates for final admission. Mark sheet /scorecard of qualifying examination (for all semester).